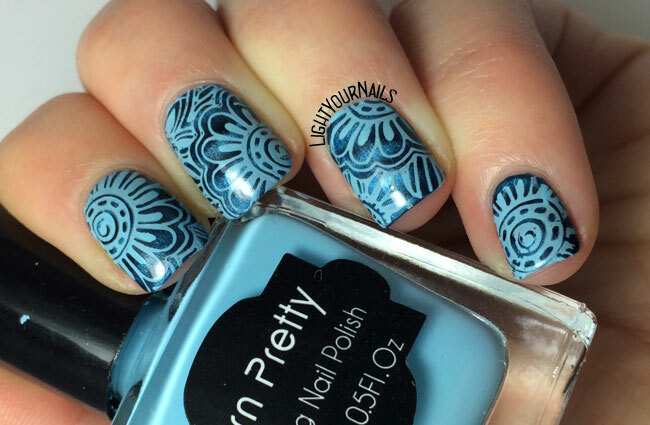 Monochromatic blue flowers nail art | Light Your Nails! Very pretty! I love the dimension the magnetic polish adds to his look. Grazie Giulia! Questo è tutto quello che so fare in campo nail art in realtà. A mano libera non mi ci metto proprio! Grazie per il commento Giada! Scusa ma come indicato non pubblico link. 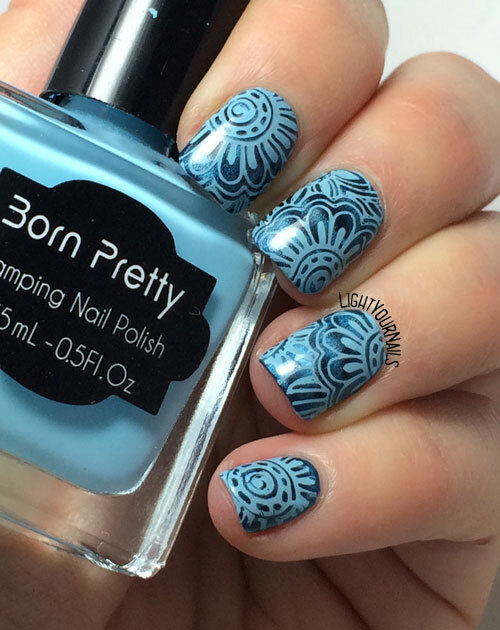 I have this stamping plate ☺ Beautiful blue mani! Thank you! Have you already used it? Oh my gosh. I totally forgot about magnetic polishes. I love them!! 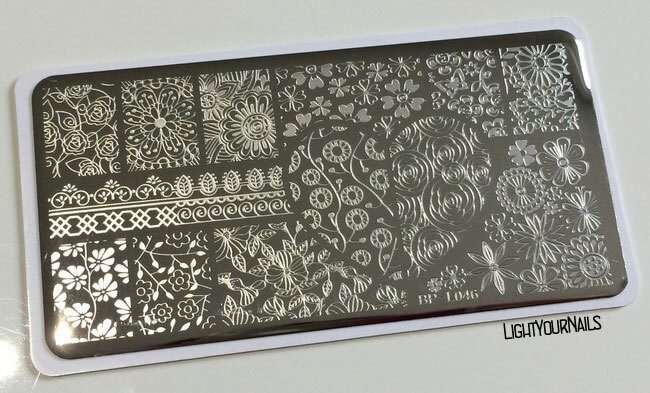 I think the stamping you put on top is gorgeous. Beautiful depth of blue colors! Flawless stamping. I love this end result! The blue on blue is perfect and I love the BP plate. Absolutely stunning as always, I love how the magnetic lines peek through the pattern! These colour combinations of black and blue looks great together! Hai ragione! Piace moltissimo anche a me! I love the blues together!